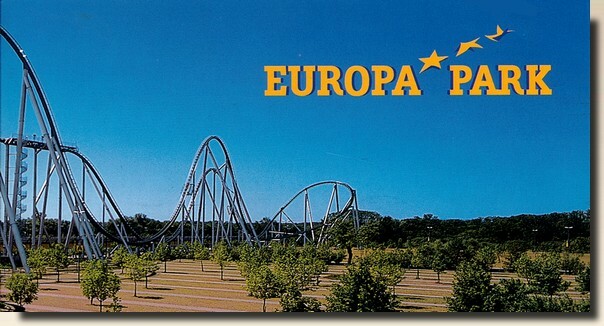 Silver Star is a roller coaster located at Europa-Park, a theme park in Rust, Germany. It is currently the tallest roller coaster in Europe with a height of 239 ft (73 m), placing it in the hyper coaster category. Signs in the queuing area claim a maximum speed of 130 km/h with a maximum of 4G vertical forces. Silver Star has 3 trains which seat 36 people each, giving an hourly capacity of 1,750 passengers. It is currently the tallest coaster built by Bolliger & Mabillard. 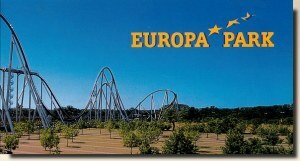 This hypercoaster is situated in the French quarter of Europa Park and is sponsored by Mercedes-Benz [wikipedia].